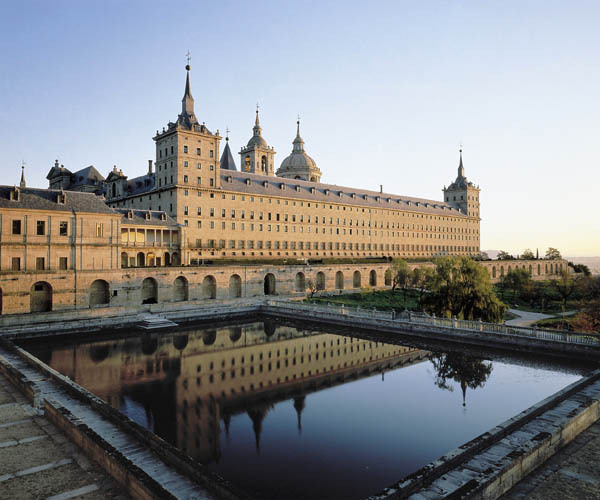 The collection of buildings in the San Lorenzo de El Escorial complex (declared a World Heritage site by UNESCO) includes a monastery, church, palace and royal pantheon. The complex was built at the behest of King Philip II to commemorate the victory of the Spanish armies over the French in the Battle of Saint-Quentin, which took place on 10th August 1557, the feast of St. Lawrence (San Lorenzo). October to March: 10:00 to 18:00 (ticket office closes at 17:00). April to September: Tuesday to Sunday 10:00 to 19:00 (ticket office closes at 18:00). The first architect commissioned to design the monastery complex, whom Philip II had brought in from Italy, was Juan Bautista de Toledo, who had worked with Michelangelo Buonarotti on the dome of St. Peter's Basilica in Rome in 1559. After drafting the general plans, he was joined on the project by Juan de Herrera in 1563, the year in which the work commenced. After Juan Bautista de Toledo’s death in 1567, Juan de Herrera took over sole responsibility for the project. Herrera, trained in the humanities and a genuine Renaissance man as well as a mathematician and philosopher, largely maintained Juan Bautista de Toledo’s original designs (based on plans by the Italian architect Vignola) but also incorporated his own style. 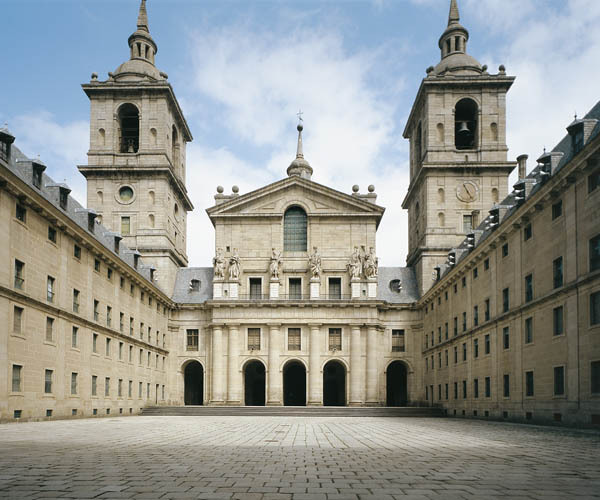 The monastery complex was designed, in accordance with the spirit of the Counter-Reformation, as a royal pantheon and a focal point for disseminating the Catholic religion. By the time Herrera took charge of the monastery, he had developed a mastery of geometric lines and, from this point on, began to apply a style that came to be known as Herrerian. Rejected was the elaborate decoration of Renaissance-Plateresque and even Classical architecture; rather, lines were sober and austere, much to Philip II’s own personal taste and very much in harmony with Counter-Reformist thinking. Specifically, Herrera pursued simplicity and a more geometric idea of the complex, which is why he made changes to the original designs. These included raising the main facade by including an additional floor, thereby recasting the overall height, reducing the number of towers in the facade and enclosing the Monarchs’ Courtyard by the construction of a ‘double facade’ for the Basilica where he placed the Royal Library. Herrera also built the two lodging houses – the Casas de Oficios – located opposite the northern facade of the monastery. Other architects were also involved in drafting the designs for the complex, albeit to a lesser extent. These include Juan de Mijares, Giovanni Battista Castello ‘Il Bergamasco’ and Francisco de Mora, who designed the Casa de la Compaña and was the director of the works when they were officially completed in 1584. 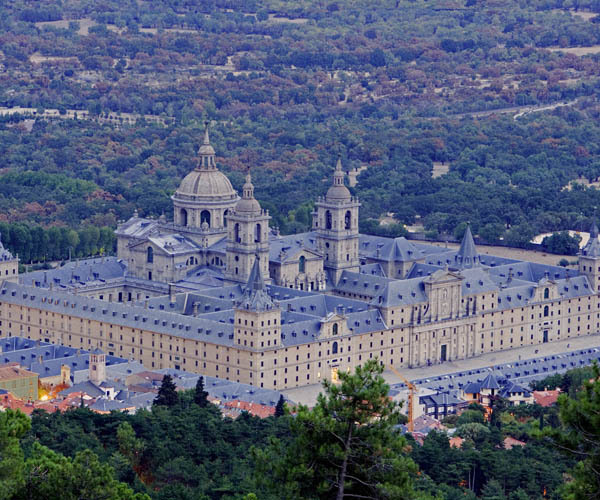 (The Royal Basilica, however, would not be finished until 1586.) In the second half of the 18th century, the neo-Classical architect Juan de Villanueva built the Casita del Infante and the Casita del Príncipe. 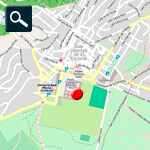 Noteworthy are the Pantheon of Kings and the Pantheon of Infantes of the Royal Basilica. The former, which occupies a circular chapel located beneath the chancel, houses the remains of all the Spanish monarchs and their mothers, from Charles I to the present, with the exception of Philip V and Ferdinand VI. Noteworthy are the two Pompeo Leoni cenotaphs flanking the high altar, with statues in ormolu of Philip II (1600) and Charles I (1590) and their families kneeling in prayer. The Pantheon of Infantes holds the remains of other members of royal families. 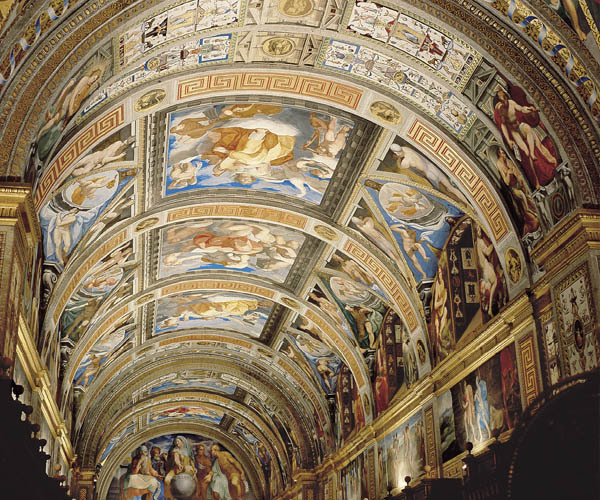 The painting and decorative work in the El Escorial complex is by Italian artists such as Luca Cambiaso, Federico Zuccaro and Pellegrino Tibaldi (authors of the frescoes in the vaults of the Royal Library, the sacristy, the chapter house, and the Gallery of Battles) and Luca Giordano, author of the frescoes in the vaults of the church and on the main staircase, designed by ‘Il Bergamasco’. Artists Francisco de Urbino and Nicola Granello also contributed. Noteworthy among the Spanish artists were Juan Fernández Navarrete ‘The Mute’, the first Spanish artist to use the colourful Venetian style (albeit in a rather sombre way), and Alonso Sánchez Coello and Juan Pantoja de la Cruz, Court portrait painters. Other noteworthy items include sculptures by Monegro, crucified Christ figures in bronze by Bernini and in white marble by Cellini, Claudio Coello’s masterpiece Adoration of the Host in the Sacristy, paintings by Hieronymus Bosch, El Greco and Velázquez, and a collection of 18th-century tapestries made from cartoons painted by Francisco Goya.